The latest Warhammer project is set to bring tabletop and digital games together a bit more closely. 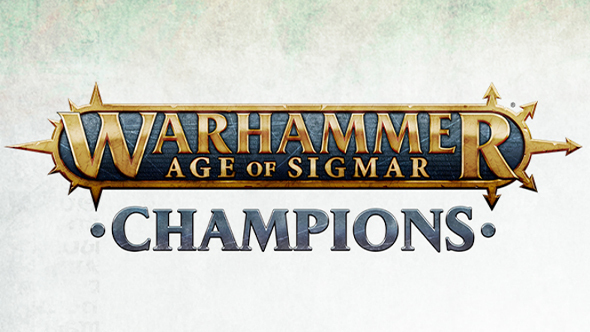 Warhammer: Age of Sigmar – Champions is a trading card game set to launch later this year, and it will feature physical cards, a digital TCG on mobile and PC, and an “augmented reality experience” which brings both sides of the game together. Check out the best card games on PC. On the physical side, Age of Sigmar – Champions will have hundreds of cards fit for strategic deck-building. Developers PlayFusion haven’t yet been specific about the exact format of the game, but promise that physical cards can be imported into the digital game to be used online. The digital version of the game will be available on PC, iOS, and Android, with the full experience set to be ready in July. Exactly what form the rest of the AR “experience” will take is also not quite clear, but PlayFusion’s previous title Lightseekers had similar ambitions, though with an additional Skylanders-like toys to life component. PlayFusion’s deal with Warhammer owners Games Workshop is set to be a lengthy one, with new expansions and cards due to be unveiled for years to come. Warhammer videogames continue to be prolific, with the announcement of turn-based strategy title Mechanicus, the impending full release of Inquisitor – Martyr, a Necromunda game in the works, the ongoing march of Total War: Warhammer, and the incredible success of Vermintide 2. The success of those last two games is perhaps a little awkwardly timed for Games Workshop, given that they’re both based on Warhammer Fantasy, which GW scrapped in 2015. Age of Sigmar is its successor, and this TCG will be one of its first digital adaptations.